Palma, Spain and San Diego, USA, 4 March, 2019 – Sanifit, a clinical-stage biopharmaceutical company focused on the treatment of conditions related to progressive vascular calcification, today announces the publication in the British Journal of Clinical Pharmacology of further data assessing the safety, tolerability, pharmacokinetics (PK) and pharmacodynamics (PD) of its lead drug candidate SNF472 in haemodialysis (HD) patients. The double blind, randomized, placebo-controlled Phase 1b study investigated the safety, tolerability, PK and PD of SNF472 in HD patients after repeated administrations for up to 28 days. A PD assessment was performed to evaluate the potential for SNF472 to inhibit hydroxyapatite (HAP) formation, which is the form of solid calcium that deposits in the heart, arteries and arterioles. Evidence suggests that HAP deposition is the final common pathway of vascular calcification progression. SNF472 was shown to be safe and well tolerated in HD patients following multiple ascending doses for one week and repeated dosing of 10 mg/kg for 4 weeks. Under both conditions SNF472 inhibits the induction of HAP crystallization. These results support further investigation of SNF472 in conditions related to progressive vascular calcification. The full article, ‘A Phase 1b Randomized, Placebo-Controlled Clinical Trial with SNF472 in Haemodialysis Patients’, published in the British Journal of Clinical Pharmacology, can be accessed here. SNF472 is currently being assessed in CaLIPSO, a Phase 2b proof of concept study in haemodialysis patients assessing the effect of SNF472 in reducing progression of cardiovascular calcification. CaLIPSO completed enrolment in August 2018. SNF472 is in development for treatment of CUA, also known as calciphylaxis, a devastating rare disease with 55% 1-year mortality rate, where severe cardiovascular calcification blocks small blood vessels in skin and fat tissue. These blockages cause the development of intensely painful and debilitating chronic skin lesions. Sanifit is currently in preparations for a pivotal phase 3 CUA study, after having met the primary and secondary endpoints in the phase 2 study in this indication. SNF472, the hexasodium salt of myo-inositol hexaphosphate, is a calcification inhibitor. with a novel mechanism of action for the treatment of haemodialysis patients with cardiovascular diseases linked to calcification. SNF472 inhibits the development and progression of ectopic calcifications by binding to the growth sites of the hydroxyapatite crystal, the main component of cardiovascular calcification deposits. SNF472 is being developed for calciphylaxis in patients undergoing dialysis, for which it has orphan drug status from both the EMA and FDA. SNF472 selectively blocks the progression of pathological cardiovascular calcification and poses an innovative solution for these unmet medical needs. Palma, Spain and San Diego, USA, 21 November, 2018 – Laboratoris Sanifit S.L., a clinical-stage biopharmaceutical company focused on treatments for calcification disorders, is pleased to note the publication of ’50 Key Questions on Calciphylaxis in Chronic Kidney Disease’ by Dr José Vicente Torregrosa and Dr David Cucchiari, the printing of which was sponsored by Sanifit. The book, which was recently presented in Madrid during the IX Ibero-American Congress of Nephrology, provides a significant contribution to the body of knowledge on calciphylaxis. It covers the rare disease’s history, the current medical understanding of the condition, and the latest means of diagnosing and managing the disease. As well as increasing physicians’ knowledge of the condition and aiding professional medical training, the book highlights the need for more research, given the fact that the condition has no approved therapies. Calciphylaxis is the most severe form of cardiovascular calcification, typically affecting end-stage renal disease patients. The condition is characterized by rapid-onset vascular calcification of the small peripheral vessels as well as painful necrotic skin ulcers. It has high morbidity and mortality rates with a 1-year mortality rate of approximately 55%. There are an estimated 30,000 patients worldwide, though this is thought to be an underdiagnosed condition because approved treatments are unavailable and the fact that knowledge about calciphylaxis is not widespread. Dr José Vicente Torregrosa, a nephrology specialist, works in the Nephrology and Kidney Transplantation Department at the Hospital Clinic, University of Barcelona, Spain. His research interests include calciphylaxis, transplant surgery and kidney transplantation. He has published and authored many articles related to these areas and is considered one of the key opinion leaders in calciphylaxis. Dr Torregrosa is leading the Spanish involvement in EuCalNET, the European Calciphylaxis Registry, which is coordinating the efforts of 7 European countries (Belgium, France, Germany, Italy, Spain, The Netherlands and Portugal) in researching the condition. Dr David Cucchiari is a nephrologist and works with Dr Torregrosa in the Hospital Clinic, University of Barcelona, Spain. He previously specialized in nephrology at the University of Milan. SNF472 is an intravenous formulation of myo-inositol hexaphosphate with a novel mechanism of action for the treatment of haemodialysis patients with cardiovascular diseases linked to calcification. SNF472 is being developed for two indications: calciphylaxis and cardiovascular disease in end stage renal disease (CV-ESRD) patients undergoing dialysis. SNF472 has orphan drug status for the treatment of calciphylaxis from both the EMA and FDA. SNF472 selectively blocks the progression of pathological cardiovascular calcification and poses an innovative solution for these unmet medical needs. Sanifit is a biopharmaceutical company focused on calcification disorders. The company started operations 2007 after spinning off from the University of the Balearic Islands. It expanded its activities in the USA in 2016 with the incorporation of a subsidiary with offices in San Diego. The company’s lead compound, SNF472, has successfully completed a Phase 2 proof of concept study in calciphylaxis, with a Phase 3 pivotal study planned to initiate in H1 2019. The company is also investigating SNF472 in a Phase 2b study in CV-ESRD, with results expected in Q4 2019. 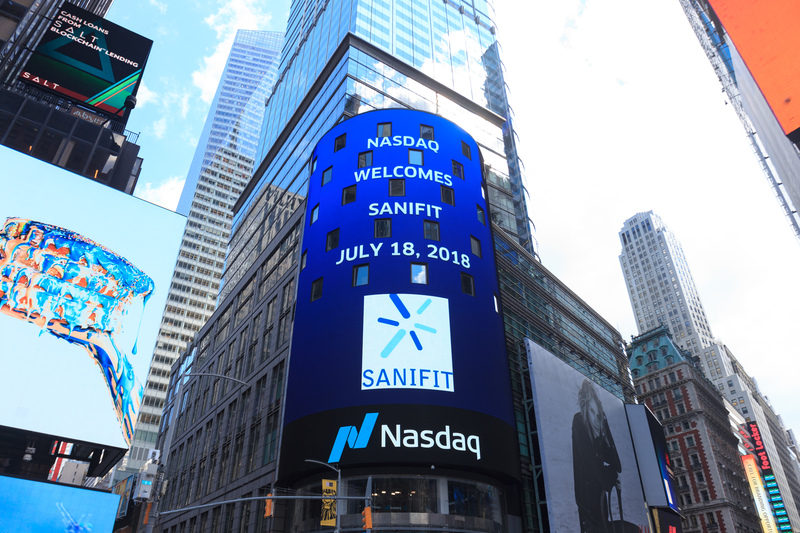 Sanifit has raised more than $50M, including a series C funding of $41.3M (€36.6M) in mid-2015. Palma, Spain and San Diego, USA, 23 October, 2018 – Laboratoris Sanifit S.L., a clinical-stage biopharmaceutical company focused on treatments for calcification disorders, today announces that data from a phase I study assessing the safety and tolerability of its lead drug candidate SNF472 in haemodialysis patients has been published in the British Journal of Clinical Pharmacology. SNF472 is a novel calcification inhibitor being developed for the treatment of cardiovascular disease linked to calcification in haemodialysis (HD), a major factor in morbidity and mortality among the HD patient population. This double-blind, randomized, placebo-controlled study investigated the safety, tolerability and pharmacokinetics of intravenously administered SNF472 in 28 healthy volunteers and HD patients. Data from this study demonstrated acceptable safety and tolerability with no significant adverse events, as well as a lack of significant removal of IV SNF472 drug during dialysis at the selected doses. Pharmacodynamic analyses also demonstrated that SNF472 administration reduced hydroxyapatite crystallization potential in HD patients. The full article; First-time-in-human randomized clinical trial in healthy volunteers and haemodialysis patients with SNF472, a novel inhibitor of vascular calcification, published in the British Journal of Clinical Pharmacology can be accessed here. SNF472 is currently being assessed in the Phase 2b CaLIPSO clinical trial, for the treatment of cardiovascular disease linked to calcification in end-stage-renal-disease patients on haemodialysis and completed enrolment in July 2018 and final data will be available in Q4 2019. SNF472 is also in development for the treatment of calcific uraemic arteriolopathy (CUA), also known as calciphylaxis. Sanifit is currently in preparations for a pivotal phase 3 CUA study which will begin in H1 2019. SNF472 is an intravenous formulation of myo-inositol hexaphosphate with a novel mechanism of action for the treatment of haemodialysis patients with cardiovascular diseases linked to calcification. SNF472 is being developed for two indications: calciphylaxis and cardiovascular disease in end stage renal disease (CV-ESRD) patients undergoing dialysis. SNF472 has orphan drug status for the treatment of calciphylaxis from both the EMA and FDA. SNF472 selectively blocks the progression of pathological cardiovascular calcification, and poses an innovative solution for these unmet medical needs. Palma, Spain and San Diego, USA, August 6th, 2018 – Laboratoris Sanifit S.L., a clinical-stage biopharmaceutical company focused on treatments for calcification disorders, today announced the completion of enrollment of its Phase 2b CaLIPSO clinical trial investigating Sanifit’s lead candidate SNF472, for the treatment of cardiovascular calcification (CVC) in end-stage-renal-disease (ESRD) patients on haemodialysis (HD). Palma, Spain and San Diego, USA, July 17, 2018 – Laboratoris Sanifit S.L., a clinical-stage biopharmaceutical company focused on treatments for calcification disorders, will present at the European Biotech Investor Day in NYC, organized by Solebury Trout, Goodwin LLC and Nasdaq. Sanifit will present at 3.00 PM on Thursday, July 19. Dr Joan Perelló, CEO at Sanifit, will discuss the company’s clinical progress and financing plans for the continued development of SNF472 for the treatment of calciphylaxis and cardiovascular disease in patients suffering from end stage kidney disease and undergoing dialysis. The European Biotech Investor Day in NYC, features privately-held and EU-listed biotechnology companies representing the “Next Wave of Opportunities” emerging from Europe. The life science – focused conference will be held at Goodwin LLC offices in the New York Times building. Palma, Spain and San Diego, USA 25th May 2018 – Laboratoris Sanifit S.L., a clinical-stage biopharmaceutical company focused on treatments for calcification disorders, announced that the results of its Phase 2 clinical trial of SNF472 were presented during an oral session earlier today at the 55th ERA-EDTA Congress taking place in Copenhagen, Denmark. The presentation of Results of a Phase 2 Open-Label Single-Arm Study to Assess the Effect of SNF472 on Wound Healing in Calciphylaxis (Calcific Uremic Arteriolopathy) Patients was given on behalf of the investigators by Dr. Vincent Brandenburg, nephrologist, Associate Professor and Senior Consultant at the Department of Cardiology, Intensive Care Medicine and Vascular Medicine, University Hospital of the RWTJ Aachen, Germany. This clinical trial assessed the effects of SNF472 for treating calciphylaxis (CUA) in patients with end stage renal disease (ESRD). SNF472 is an intravenous formulation of myo-inositol hexaphosphate, an agent that selectively inhibits formation and growth of hydroxyapatite crystals, the final common pathway in the etiology of vascular calcification. CUA is a rare condition characterised by painful necrotic skin ulcers and high mortality. The condition is predominantly observed in ESRD patients receiving dialysis therapy and has no approved therapies. Fourteen subjects were treated with SNF472 400-900 mg during each hemodialysis session (3x/week) for up to 12 weeks. Clinically and statistically significant improvements were observed in wound healing and pain between baseline and Week 12. Wound healing was measured with the Bates-Jensen Wound Assessment Tool (BWAT), a validated, quantitative instrument (p<0.001, baseline vs Week 12). Consistent results were observed with independent blinded review of wound images. Pain, assessed on a visual analog scale, also improved during the treatment period (p<0.02, baseline vs Week 12). SNF472 was generally well tolerated with adverse events as expected for the hemodialysis study population and there were no clinically significant changes in any of the laboratory or ECG parameters. The US Food & Drug Administration (FDA) and the European Medicines Agency (EMA) have granted SNF472 orphan drug designation for the treatment of CUA. Sanifit is currently in preparations for a Phase 3 clinical study. The international magazine CEO Today has published a list with the 100 Europe’s most talented Chief Executive Officers whose commitment to excellence and achievements are worth cheering for. Every year CEO Today Magazine identifies and honors the most progressive, forward-thinking and ambitious company leaders in todays’ business. The CEO Today team collate votes and in-depth sector by sector research to choose the very best of the best among the Europe’s CEOs. The Magazine also identifies top talented CEOs in USA, Africa and Middle East. The winners are a group of inspiring individuals from different professional sectors, dedicated to achieving success, whilst making a lasting impact. Including Dr. Perelló, only 3 CEOs from life science branch have been awarded. Sanifit is pleased to congratulate its CEO, Dr. Joan Perelló Bestard for this well-deserved award. Congratulations, Joan!!! Palma, Spain and San Diego, USA March 06, 2018 – Laboratoris Sanifit S.L., a clinical-stage biopharmaceutical company focused on treatments for calcification disorders, announced today the completion of its Phase II clinical trial of SNF472, its lead candidate for the treatment of the orphan disease calciphylaxis (calcific uraemic arteriolopathy, CUA), with both primary and secondary endpoints being successfully met. Full trial results will be presented at a scientific meeting in mid-2018. The Phase II clinical trial was an open label, single arm, repeat dose study which assessed the effect of 12 weeks of treatment with SNF472 on wound healing in Calciphylaxis patients receiving dialysis. The results of the study showed that both the primary endpoint, wound healing, and the secondary endpoint, reduction of pain, were successfully met. The study was conducted in the USA, Spain and the UK. Calciphylaxis is a rare condition characterised by vascular calcification and thrombosis leading to necrosis (cellular death) of the skin and fatty tissues. The condition is predominantly seen in end stage renal disease (ESRD) patients receiving dialysis therapy. Patients suffering from calciphylaxis experience painful skin ulcers leading to a high risk of infection and a mortality rate of 55% in the first year after diagnosis. SNF472 has been granted orphan drug designation by both the US Food & Drug Administration (FDA) and the European Medicines Agency (EMA) for the treatment of calciphylaxis. Sanifit is preparing to initiate a Phase III trial in 2018 after finalizing the ongoing dialogue on its design with the US Food & Drug Administration (FDA) and the EMA.